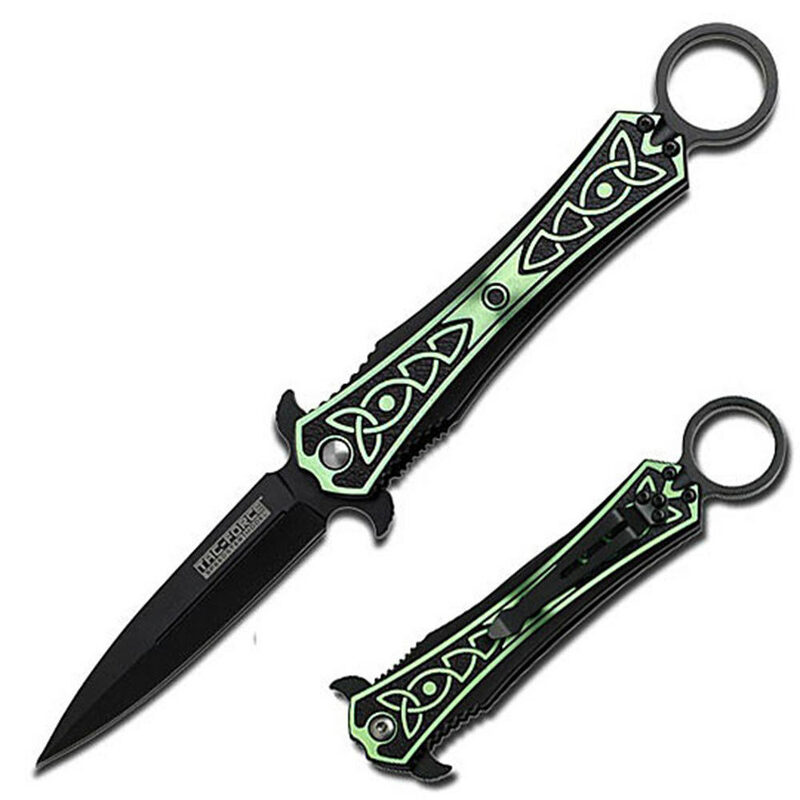 Steel handle with two-tone black and green finish, and Celtic Knotwork pattern. The handle features a finger ring allowing for multiple tactical grip methods. 9 in. overall opened, 3 1/2 in. blade, 5 1/2 in. closed. Very dull, the blade is moves around, I'm very sad with what I got. My new favorite knife in my collection! I was very happy at first then figured out how to deploy the blade from my pocket like a wave feature and instantly fell in love. It was a little dull out of the box so I had to swipe it through an accusharp. if u consider buying this blade do it u won't regret it!